Months after Fire Chief Darby Allen had left the flames of Fort McMurray behind him, something wasn’t quite right. He couldn’t figure out what it was, or why he felt the way he did. Why would he have issues? Allen and his team had evacuated an entire city with no loss of life—a fact they should all have been celebrating. In this practical and destigmatizing talk, Allen speaks about the mental health concerns faced by so many from Fort McMurray and delves in to his own experience, speaking to how some first responders and members of the public continue their work to process the trauma and get to a place of acceptance. He outlines the steps he personally took to change his perspective and feel like himself again—in time. Daily events affect people in different ways, and the symptoms aren’t always so easy to spot or treat. In the workplace, how can we help each other, provide support and move towards acceptance? As Allen explains, travelling from a place of judgement helps us to move forward constructively and to rid the stigma of trauma recovery and mental illness altogether. Employers need to embrace that mental wellness will in turn lead to more productive team members and a healthier, more vibrant workplace environment. “How do you get people to realize they need help?” asks Allen. Open the doors to conversation and acceptance by providing safe environments for those who are often struggling in silence. 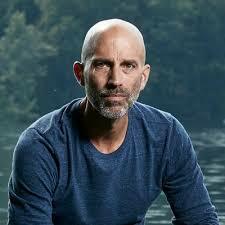 When it comes to mental health, Stéphane Grenier walks the talk. 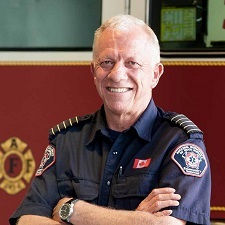 He was recently appointed to the Order of Canada and awarded an honorary Doctor of Laws degree by the University of Guelph for his contributions to the field of workplace mental health. His autobiography, After the War: Surviving PTSD and Changing Mental Health Culture, tells his story from the day he landed in the midst of the Rwandan genocide, through his journey of changing mental health culture in the Canadian military, developing national Guidelines for Peer Support with the Mental Health Commission of Canada, all the way to creating Mental Health Innovations (MHI); a consultancy that leads innovative and sustainable change in organizations to enhance the mental health of their people. He and his business partners develop non-clinical mental health interventions as a compliment to traditional clinical care for private and public-sector organizations, as well as for provincial healthcare systems. Madam Justice Michele Hollins was born and raised in Saskatchewan. She completed a Bachelor of Science in Biochemistry at Texas Christian University in Fort Worth, Texas before returning to Saskatchewan for law school. With twin daughters in tow, she completed her L.LB at the University of Saskatchewan in 1992. She clerked with the Court of Queen’s Bench in Regina and then worked as an articling student and then associate with McCarthy Tetrault LLP. In 2001, she joined Dunphy Best Blocksom LLP, becoming a partner in 2004. 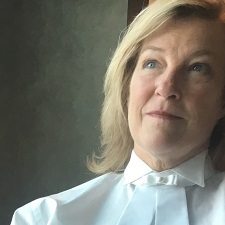 Justice Hollins practiced civil and commercial litigation until her appointment to the Court of Queen’s Bench of Alberta in 2017. While in practice, she handled cases in employment, product liability, contracts and shareholder disputes as well as acting as Commission Counsel to the Alberta Public Inquiry into preferential treatment in the health care system. She was the National President of the Canadian Bar Association in 2014 and has received that organization’s Louis St. Laurent award, as well as the Women in Law Leadership Award sponsored by the Counsel Network and the Association of Women Lawyers. Prior to and since her judicial appointment, Justice Hollins has been speaking publicly about her own mental health journey in the hopes of encouraging people to often and openly seek and offer support.